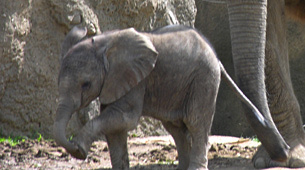 The IEF is providing support to the North Carolina Zoo in their five-year study, which is now in its fourth year, following elephant land use and migration patterns in Cameroon. The primary objective of this study follows the movements of elephants in and around Cameroon’s national parks. These data will then be used: 1) to identify and provide long-term protection for suitable elephant habitats and plan future development projects in ways that maximize the land-use potential for humans and elephants; and 2) for wildlife officials to use these data to identify and protect valuable elephant habitat and increase local support of elephant conservation by reducing intrusions on crops and human settlements near the study areas, and operate an effective early warning system that enables rangers to divert elephant herds away from farms and villages before either elephants or people are harmed. To date, multiple elephants have been successfully collared and their location data has strengthened Cameroon’s elephant conservation strategies, and reduced conflicts between people and elephants in the study area.